Getting to Monterosso is not as hard as it used to be. The Normans invaded by way of the sea in leaky wooden ships, but today, planes trains and automobiles easily get you to Calabria and Monterosso Calabro. Air travelers from the U.S. arriving in Milano or Roma will find several flights a day for Lamezia (a one-hour flight) on Alitalia, Lufthansa and AirOne, and now Blu-Express. If the skies are clear, choose the left side of the plane for the best views of Calabria’s ruggedly beautiful and hilly coastline. Book well in advance. Airplane seats fill up quickly, especially on the 6:20 a.m. flight back into Roma Fiumicino Airport (FCO) from Lamezia– a flight that is early enough to catch most intercontinental flights out of Roma the same day. A postcard view of the old section of Monterosso. seats on the Eurostar or the ICC trains; they’re worth the few extra dollars. Reserve your tickets online on Trenitalia, but unfortunately not from the USA. Go to a local travel agent there in Italy, or the customer service desk in the main airports, or simply reserve your seat yourself at the train station when you get there. 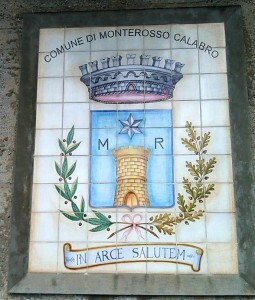 From the rail station or the airport in Lamezia, Monterosso can be reached by taxi for 50+ Euros. Regular taxi service back to the airport or train station is not available, but can be arranged by asking around in town and arranging a trip with one of the locals. Rental cars are available at the rail station (the office is right across the street) and the airport, a 3-minute walk from where your bags will be delivered. If you arrive on a Sunday, or at an odd hour at the train station, you may have to take the 10-minute taxi ride from the station to the airport to pick up your car there. Reservations can be made at www.webcarehire.com, or www.carrentals.com, or www.kemwel.com, or any of the usual travel sites such as Kayak, etc. Most American auto insurance companies, as well as AAA, will not cover collision insurance in Italy. However, some premium credit cards do. One in particular is the referred Platinum Visa from First National Bank in Omaha. Call them at 888-530-3626 or visit First National Bank. They will also issue a letter saying that you will be covered for collision insurance if you request one. Get on the A3 (autostrada) going south toward Reggio. The signs for SARC (Salerno/Reggio Calabria) are in green. When you see the large overhead raised railroad bridge ahead, get off at the Pizzo exit. Pass under the bridge, and turn left at the stop sign (west) on local road S110. Bear right when road splits (do not go to Maierato on the SP3). You will see the lake Angitola (Lago Angitola on your left). Bear left again on the SP47 which will take you into Monterosso. There will be many twists and turns as you climb up. A leisurely ride to enjoy the scenery from the exit off the autostrada should take 20-30 minutes. Entering the town past the cemetery on the left, take a sharp left at the stone wall with the town’s seal in ceramic tiles. This leads to the 15th century stone base of the church’s bell tower. You can park anywhere around the Church, or bear left around Orologio B&B in front of the Church, which will put you on one of the few roads in town that can handle cars, and will take you to the “downtown” area of shops. The invading Normans got to Monterosso by ship, and by marching overland. Today, it’s much easier. A scene of the conquering Normans from the Bayeux Tapestry, crossing the Channel. 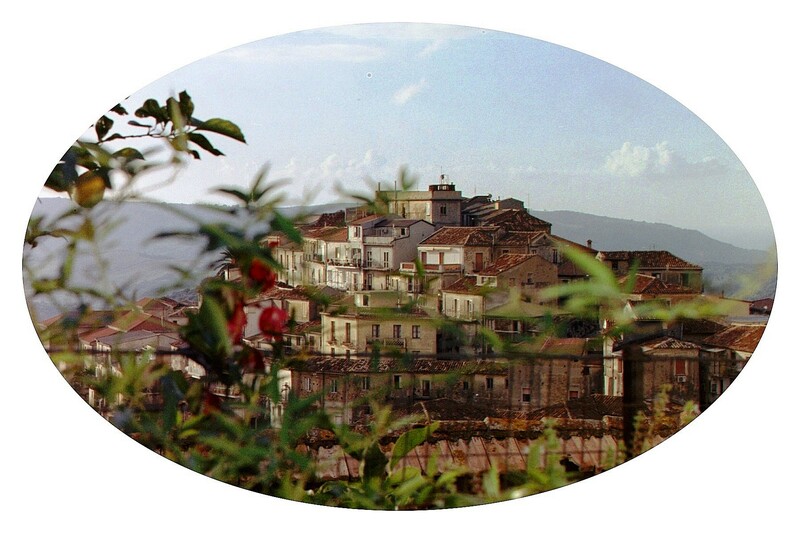 If you would like to comment on this website, if you have suggestions to make it better, or to add something about your impressions of Calabria, please go to the Contact tab and write us.